Premier League: Is the loan system being abused by clubs? While the mind boggled at a record £870m Premier League spend during the summer transfer window, another statistic caught the eye from a club that was relatively prudent. Chelsea's net outlay amounted to £38m - the fourth-highest in the Premier League - but Nathaniel Chalobah's move to Napoli took the number of Blues players out on loan to 33. The club are not breaking any rules, and it is a pattern repeated across Europe, with Juventus reportedly owning an additional 58 players not in their first-team squad. Chelsea's tally could rise even further with the emergency loan window - which opens on Wednesday - giving Football League clubs the chance to sign players for between 28 and 93 days. Clubs can only register a squad of 25 players for the Premier League - and some have been accused of "abusing" the system by stockpiling talent to the detriment of rivals and the players themselves. So why does a club recruit players in this way and what are the consequences? Clubs might not like this analogy, but it can help to think of players in terms of property belonging to a landlord. If you can afford to own 58 players rather than 25 and no-one is stopping you farming them out, it might make financial sense to do so, especially as big clubs aim to comply with Uefa's Financial Fair Play rules which cap spending in relation to income. The hope is such players will improve and eventually reach the first team, as Chelsea goalkeeper Thibaut Courtois did. He was bought for £5m from Genk in 2011, sent on loan to Atletico Madrid for three seasons, and broke into the Chelsea side last season. Even if they don't, the club may hope that a player's value will increase as he matures. Chelsea sent Romelu Lukaku on loan to West Brom and Everton before making a £10m profit on him when he was sold to the Toffees in 2014. Best of all for the club bean-counters is the fact the loan club will usually pick up the tab for the player's wages. "We don't send players out because we are trying to recover money, we send them because we want them to play and develop," Chelsea technical director Michael Emenalo has said. "We felt it is better for players at 18-21 to go on loan somewhere where they get visibility and good competition." Former Tottenham and Liverpool director of football Damien Comolli also believes clubs have players' best interests at heart, giving them the opportunity to play at a higher level than the current under-21 league, which has drawn criticism for its lack of competitiveness. Comolli told BBC Sport: "I think Chelsea act in good faith, that they are concerned with the progress of young players. The number of players on loan is amazing, but for me there is no foul play." Chelsea are not the only club to loan players out in this manner, but with great wealth at their disposal, they are certainly more efficient than other Premier League clubs. Manchester City enjoy similar financial backing to the west London team, yet despite spending a record £160m in this window, they have 14 players on loan, including two who have agreed permanent deals for next season. Liverpool have 15 players on loan, while Arsenal weigh in with 12, having extended Carl Jenkinson's contract before loaning him back to West Ham for another season. Manchester United only have six players being paid elsewhere this season. The only rules that teams need to abide by concern the number of domestic players they are allowed to loan in, which is limited to four in one season, two at any one time and one from a specific club. There are advantages in loaning to rivals, though. Loan players cannot play against their parent clubs, so Chelsea winger Victor Moses, who signed a new four-year deal before being loaned out to West Ham, can now attempt to score against all of Chelsea's Premier League rivals - but not Jose Mourinho's team. Then there is the wider issue of Premier League clubs scooping up young talent and farming them out to lower league teams. Not only can this stunt the development of players who are changing clubs every season, according to a Comolli, but a Championship side might sell a player to a Premier League club and see them back on loan at a rival further down the track. Hull midfielder Tom Huddlestone started his career at Derby and in 2005 was sold for £2.5m to Tottenham. A few months later he was back in the Championship on loan with Wolves. Chelsea striker Patrick Bamford, 21, came through Nottingham Forest's youth system but two of his four loan deals since signing for the Blues in 2012 have been at fellow Championship sides. The way clubs are using the loan system is an issue Uefa president Michel Platini is aware of. The former France captain has said: "It is not possible that the best teams would have all the best players or competition itself is finished. We have to think about football in all of Europe, not only in two or three clubs." Fifa also plans to scrap the emergency loan system after this season as it believes it affects "the sporting integrity of the competitions". There is a cautionary tale for stockpiling, however. At one point, Italian side Parma had 226 players listed as affiliated to the club. Italian clubs can co-own players but with debts amounting to £54m, the club went bust in March. Is it good for players? Andros Townsend was loaned out to nine teams before making his Tottenham breakthrough - but according to his father it was the making of the 24-year-old. The winger's emergence came at a similar time to fellow England internationals Harry Kane and Ryan Mason, and his father Troy believes the trio made the grade because they were a small group which the clubs had faith in. He told BBC Sport: "Being educated in the game in the lower leagues helped Andros in his journey. Tottenham always showed an interest even when he was down at Yeovil as it can be quite difficult for a player if they feel detached from the parent club. "With Chelsea having 33 out on loan, there will be some players coming back wondering if they have a future at the club and even in English football. For some of them they probably won't, and they are being loaned out because they will be sold somewhere down the line." Comolli is more critical of Tottenham's approach, however. He believes that Kane, Townsend and Mason made their breakthrough in spite of how the club handled them and believes players benefit from a consistent philosophy rather different plans at numerous clubs. "That was the opposite of what loans should be for," he added. "Can you imagine a business telling its employees to change company nine or 10 times before you are ready to come back to us? I think making that many loan moves is wrong." Should there be a limit on players loaned? Professional Footballers' Association chief executive Gordon Taylor admits the current system is "strange" and with clubs owning large pools of players, likens it to third-party ownership, which has been banned in Britain since 2009 and is now outlawed worldwide. Like Fifa, Taylor's concerns also surround the integrity of competitions as well as opportunities for young players in England. While Chelsea have five players on loan at Dutch side Vitesse Arnhem, eyebrows were raised in the 2012-13 season when the Pozzo family took over at Watford, then in the Championship, and brought in 12 players on loan from other clubs they also own - Italian side Udinese and Granada in Spain. Taylor said: "If it becomes uncontrollable, and you think of Watford and their links with Italy, it invites scrutiny with regards to the integrity of the game. "You don't want the winners of the competition to be the club that has the best relationships with another club and borrows their best youngsters." Fortunately for English football, wholesale imports in the manner of those seen at Watford are relatively rare and the Hornets only have three loanees this season. The Premier League's riches mean it is becoming more common to loan players the other way. And Comolli believes Chelsea have actually made mistakes in loaning out and selling the likes of Kevin de Bruyne and Lukaku before they reached their true value to the team. Townsend added: "Clubs need to trust their young talent. The loan system can be a good way but it can be abused. 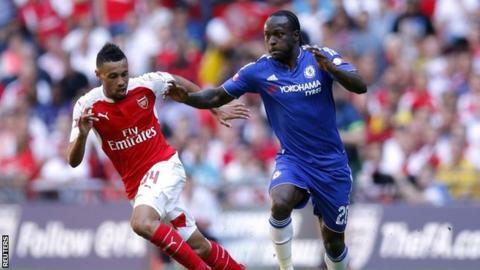 "Victor Moses is still getting Premier League moves on the back of being a Chelsea player, but somewhere down the line younger players will not be getting those moves. They will be sent out on loan before they are sold off. "That's where we have to look at curbing the loan rules, not to hinder the clubs but to benefit the players." Additional reporting by BBC Sport's Mike Peter.